UN approved IBC for transport full of fuel on the highway and 110% bund to comply with pollution prevention guidelines for fuel storage. 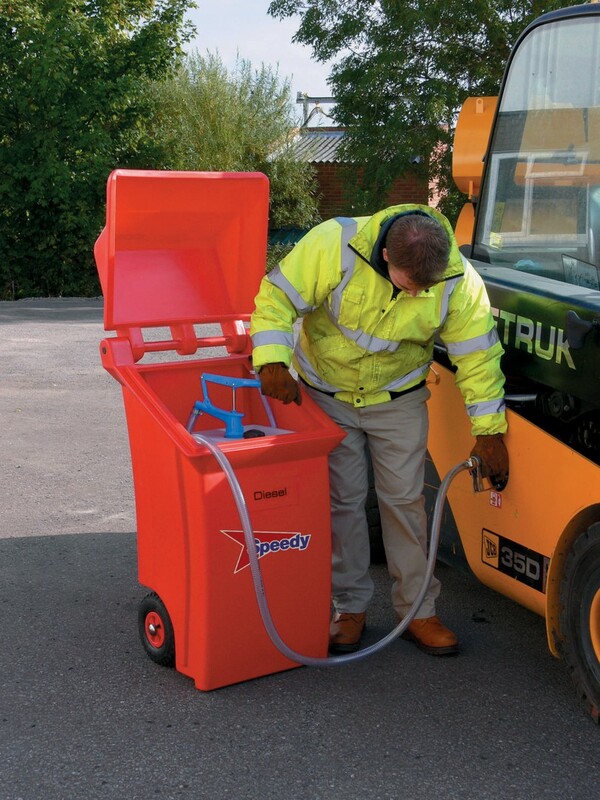 Ideal for areas of restricted access or when only small requirements for fuel. Fitted with hand pump for dispensing of fuel. The large wheels make it easy to manoeuvre or can be lifted by forklift using pockets fitted.